ENCINITAS — Eleanor Musick said that suing the Cardiff School District was the last thing she wanted to do. A member of the board of the elementary school’s garden program and longtime district supporter, Musick said she found herself at odds with the district for the first time over its plans to build an open-air multi-purpose room and amphitheater on a section of the community’s beloved George Berkich Park as part of the district’s $22 million renovation of the kindergarten through third-grade campus. “We” is the Cardiff Preservation Society and its “Build the School Save the Park” campaign, which filed a petition for a writ of mandate March 8 against the school district. The lawsuit calls for the district to stop the project until it performs a more thorough assessment of the impacts the project will have on the surrounding community and environment. School district officials last week defended the project, which they said was extensively vetted and has the support of the community at large. 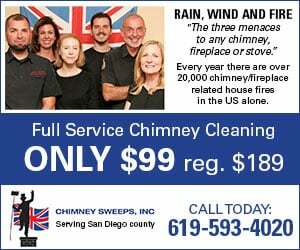 They have characterized the Preservation Society’s efforts as driven by a handful of neighbors whose ocean views could be impacted by the new multipurpose room. Musick, an intellectual property attorney by trade, said that the big misconception of the lawsuit and opposition is that it’s a campaign against the district. At the heart of the lawsuit is a 1993 funding agreement between the city, district, Department of State Parks and National Parks Service that requires the land to remain a park in perpetuity in exchange for the grant funding unless the state and federal agencies sign off on a change. 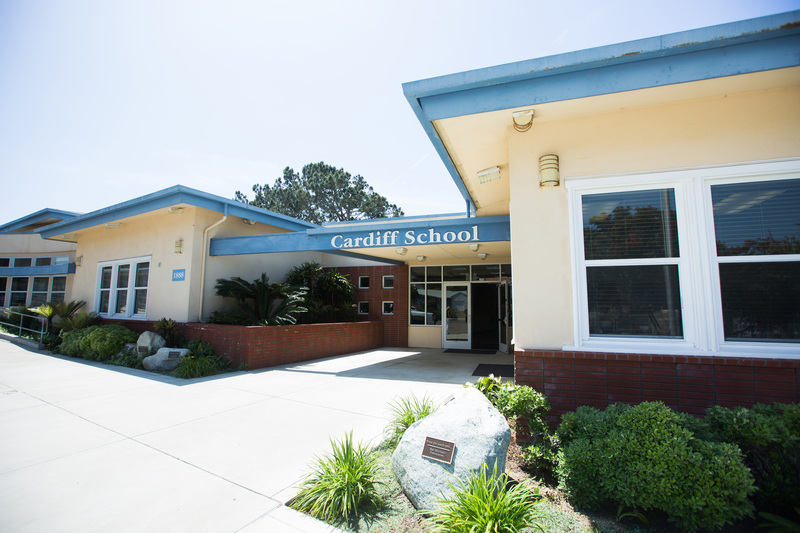 Cardiff School District officials have been working on the campus overhaul since 2016, when voters passed Measure GG, a $22 million bond measure. The plan includes the construction of new buildings and the construction of a new multi-purpose room and outdoor amphitheater on land that is currently part of the district-owned George Berkich Park. The park’s baseball field would be eliminated under the proposal, and the district would join the two grass fields, currently separated by playground equipment, to create a longer, contiguous field that could be host to two simultaneous soccer matches. The school district has been working with the State Office of Grants and Local Services, an arm of the state parks department, on the approval for the conversion. Musick said that the district’s attempt at getting the necessary approval went awry when the district claimed to be exempt from a key federal environmental study, which in the lawsuit is called a National Environmental Policy Act (NEPA) review. The district did perform a state environmental impact report, but Peterson said that the state parks department indicated it wouldn’t need to perform the federal study. Musick said the lawsuit attacks that assertion. Musick and opponents argue that study would validate their concerns about the project. They have argued the district’s plans would lead to the removal of 47 trees — some of which are healthy — block coastal views, potentially impact the historical Little Brick Building, which sits on the park’s northwestern edge and alter the park, which they argue damages the community. The opponents have taken exception to the redrawn boundaries, which calls for the school district’s proposed parking lot to be included in the park’s new lines. This, they argue, is an unequal swap for the green space lost by the multi-purpose room’s construction. District officials said the state recommended the boundary change. The parking lot, they said, would serve park visitors and families attending soccer matches on the fields. Musick said that the current parking lot is large enough to support the park visitors on most days. District officials said that ultimately, it will be up to state and federal officials whether the new boundary is granted. They remain optimistic that it will be, stating that all the steps they have taken were based on recommendations and guidance from state staff. The school district has proposed redrawing the park’s boundaries to include the redesigned campus’ proposed parking lot to compensate for the park land lost in the construction, which the Preservation Society has panned as an unequal swap. But district officials said that the state parks Office of Grants and Local Services, which administers the boundary swap decisions, suggested the board draw the boundaries to include the entire parking lot. Randy Peterson, the district’s contract bond program manager, said adding the parking lot to the boundaries makes sense because it would serve recreation area’s users, including soccer teams that use the fields on weekends. “There’s an added benefit because you are providing a level of parking on site which allows people beyond walking and biking to come and use the recreation areas,” Peterson said. Meanwhile, the saga between opponents and the district has created strained relationships throughout the small coastal community, reaching into City Hall. Recently, Blakespear announced she would recuse herself from the City Council’s consideration of the district project on April 17 — the city must give its ok of the boundary change. Blakespear said she lives within 500 feet of the project and can’t be involved in the discussion as a result. But Cardiff school officials had called on her to not participate in the vote because one of the key opponents is her mother. “We just felt it wouldn’t be appropriate for her to be involved in the vote,” Superintendent Jill Vinson said. Blakespear would not comment on the subject, restating her reason for recusing herself. Vinson and other district officials said they were also “blindsided” by Musick, who they said they have worked with on projects for the garden and adjacent dog park. “It came as a surprise to us,” board President Siena Randall said. Musick says the district officials haven’t talked to her since she joined the opposition campaign.